The letter S inspired a smorgarbord of thirty-two Indian flavors! Let's start with the svelte and stylish Spring Onion, also known as Scallions or green onions. The spring onion is almost two vegetables in one: the "white parts" are little onions that are great in starting off a stir-fry on an aromatic note, and the "green parts" make for a colorful and flavorful garnish. Jai and Bee of Jugalbandi share a great recipe for using up any spring onions that you may have left over from another recipe- rather than letting them wilt in your crisper, cook them into this comforting Spring Onion Dal. The next vegetable is also a member of the onion family, one whose flavor is often described as something in between garlic and onion: it is the savory and snappy Shallot. G V Barve of Add Flavor uses the shallot in the traditional Southern Indian way- adding whole shallots to lentils, to make a delicious Shallot Sambar. To start off, spinach soup, warm and satisfying. Raaga of The Singing Chef makes a quick and hassle-free Spinach Soup with aromatic notes from onion and garlic. Suma of Veggie Platter teams spinach with carrots, and makes a batch of spicy and tasty Spinach Rice. Raaga of The Singing Chef teams spinach with corn, and makes a pressure cooker version of Spinach Rice. Then comes another green beauty, the Snap Pea, also called the Sugar Snap Pea, with a sweet bite hidden in its tender shell. Check this post from Food Blogga to see the different varieties of peas. Snap peas are eaten whole, pod and all. A Cook of Live To Cook makes an unusual Snap Pea Masala by cooking snap peas with moong dal and adding a spicy sauce of onion, tomato and coconut. Ramya of Mane Adige shares her mom's recipe for a traditional Sweet Potato Sabzi, with sweet potato chunks tossed in an aromatic tempering, and garnished with coconut and cilantro. A Cook of Live To Cook satisfies snack cravings on a rainy day with some golden brown Sweet Potato Rolls, logs of mashed sweet potato rolled in breadcrumbs and fried to perfection. The next vegetable is commonly found in India, but might be strange and striking to non-Indians: it is the shapely spiral Snake Gourd. Why is it named that way? Because it really does look like a long sinuous serpent...you can see some pictures here. Here are four easy, home-style ways to cook snake gourd in combination with four different types of lentils. Sheela of Delectable Victuals uses the tender frozen snake gourd available in the US plus some easily available brown lentils to put together a wholesome and satisfying dish of Snake Gourd and Brown Lentils. Nandita of Saffron Trail shows us a beautiful view of the inside of the snake gourd, then cooks it in typical Tamilian style, with moong dal, coconut and spices to make a tempting Snake Gourd Kootu. Lakshmi of Veggie Cuisine makes a Snake Gourd Curry that looks bright and colorful, with a medley of snake gourd, chana dal, spring onions and spices. A Cook of Live To Cook thinks back to her childhood days and shares the recipe for her grandmother's Snake Gourd Stew, a spicy combination of snake gourd with toor dal. Coming up next, we have another beloved vegetable, the Simla Mirch, the Hindi term for the stout bell pepper. Mirch is the Hindi term for pepper, so that makes sense, but Simla (or Shimla as it is now called) is a beautiful town in the hilly Northern state of Himachal Pradesh. Why does the pepper get its name from this place? I don't know! Here, Rinku of Cooking in Westchester uses the Simla Mirch to boost the color and nutrition of a simple dish of Simla Mirch Alu. TC of The Cookeruses drumsticks to make a dal that will spice up any meal- her Shevgyacha Shenganchi Amti has sweet and tangy notes from jaggery and tamarind. Linda of Out Of The Garden flips open her old Parsi cookbook to come up with this unique Sektani Sing Na Saas: a sauce of drumstick pulp cooked with eggs, with a splash of vinegar to perk it up. 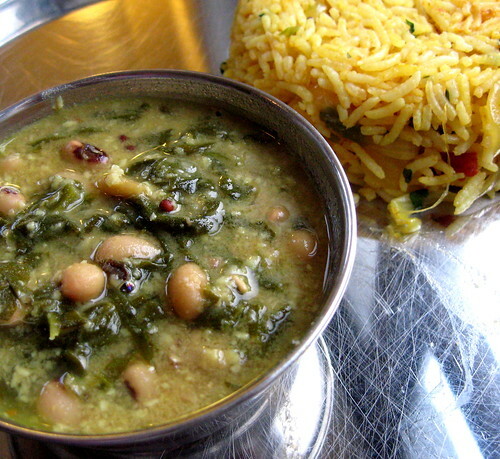 The final S vegetable is Saag, a general term for cooked greens (am I right, or am I completely off here?). Asha of Aroma/ Foodie's Hope takes bunches of radishes and radish greens and cooks them with a simple tempering and a dash of chickpea flour, resulting in this tasty Saag Bhaji. Sharmi of Neivedyam turns the bitter gourd into sweet success, providing a detailed step-by-step recipe for Stuffed Bitter Gourd packed with a spicy tomato-onion mixture. Richa of As Dear As Salt makes Stuffed Peppers that would make a wonderfully spicy side-dish; plus the dish uses all pantry ingredients, and is steamed rather than fried. Aarti of Aarti's Corner makes a scrumptious stuffing of coconut and peanuts to make her delicious dish of Stuffed Okra. After looking at vegetables that are stuffed, here is an example of vegetables that are used as stuffing! Aarti of Aarti's Corner makes a spicy potato and peas mixture and uses it to stuff a triangular dough pouch, resulting in that prized, wildly popular, internationally known Indian snack, the Samosa! Tee of Bhaatukli makes a quick mixture of soaked sabudana and boiled potato, along with some peanut powder for added flavor, and fries a batch of Sabudana Wada, golden-brown and perfectly tempting. Manasi of A Cook At Heart writes a hilarious account of the tradition of "fasting" and makes a "fast food" that is the secret reason why so many Maharashtrians remain enthusiastic about undertaking fasts: Sabudana Khichadi. Mahek of Mahek's Kitchen uses a combination of sabudana and boiled potato, spiced to perfection, and makes little pancakes called Sabudana Thalipeth that would make the perfect tea-time treat. Sreelu of Sreelu's Tasty Travels surprises us with an unusual recipe for Saboodana Chutney, a soothing duo of sabudana and yogurt. ...the Sindh region, now part of Pakistan. Sindhi cuisine is rich and sumptuous. Madhuli of My Foodcourt shared a well-known Sindhi specialty, Sindhi Sai Bhaji, a nutritious medley of greens, vegetables and lentils in a spicy sauce. ...the Western Indian state of Gujarat, the cuisine here is vegetarian heaven! Trupti of The Spice Who Loved Me specializes in Gujarati cuisine and gives us an authentic recipe for Sambharo, a crunchy dish that she aptly describes as a "warm salad" with an Indian-style dressing. ...the populous metropolis of Bombay, with its addiction to spicy snack food. It is also the birthplace of the most bizarre and creative "fusion cuisine". Swapna of Swad recreates one of these delights: Schezwan Dosa, where spicy Chinese-style vegetable noodles are packed into a dosa with incredible results. ...the Konkan coast, with swaying coconut palms and long stretches of beaches. Priyanka of Lajawaab showcases the coconut in this pretty pink Solkadhi, a medley of coconut milk and a special fruit called the sol or amsul. ...the Southern states, home to some of the most ancient cuisines in India. Manasi of A Cook At Heart makes a quintessential Southern Indian dish, a delicious combination of vegetables and lentils: Sambar. Let's wrap up the round-up with three sweet and soothing delights. Not much by way of vegetables here, but we deserve a bite of dessert at this point! Aarti of Aarti's Corner makes a silky smooth Sabudana Kheer by cooking sago pearls in milk. Saju of Chachi's Kitchen cleverly combines Sooji (semolina), Saffron and Sultanas into a delightful bite of Seera. Mahek of Love For Cooking teaches a clever dish to make with the sheera, or the semolina pudding shown in the preceding entry. She uses the sheera as a filling for whole wheat rotis, turning out a unique sweet bread hot off the griddle: Sanjoree, also known as Sheera Roti. Last week, we looked at the humble root vegetables that are often taken for granted. This week, we do a 180 degree turn towards the super-stars of the vegetable world: the Green Leafy Vegetables. Popeye with his bulging biceps is just one example of the near-mythic properties that are attributed to green leafy vegetables! I prefer to be more pragmatic about the nutritional value of the leafy veggies. Yes, they are low in fat and high in calcium, iron and fiber. But so are a lot of other vegetables. I eat green leafy vegetables simply because they taste fabulous and are ever so versatile. Some leafy vegetables like spinach seem to be popular all over the world and are usually available throughout the year. Others are specific to certain regions. In Farmers' markets, I always come across strange leafy vegetables that I have never heard of and have no idea how to cook. Leafy greens are often just plants growing wildly somewhere until someone discovers that they are edible and decided to either harvest them from the wild or to cultivate them. Some of them have the most irresistible names: lamb's quarters or fiddlehead ferns, anyone? When one is able to buy a bunch of lush, verdant greens from the market, the trick is to use them up right away, before they wilt and languish into an unappetizing mess. This is the reason why I am always on the look-out for quick and simple everyday ways to cook greens. This time, I found a simple recipe for a greens-and-beans combination that makes for a nourishing everyday dish. It uses good ol' spinach, which I usually have on hand, and black-eyed peas, a pantry staple. It is cooked in the style of a Marathi amti, which is characterized by contrasting sweet and sour flavors from the addition of jaggery and tamarind, respectively. The addition of some coconut gives it a rich and creamy flavor. 1. Cook the black-eyed peas in the pressure cooker until tender. Try not to overcook them. 2. Make the coconut paste: Combine the ingredients and grind together to a fine paste. 3. In a large saucepan, heat the oil. Add the rest of the tempering ingredients and saute until the garlic is aromatic and starting to brown. 4. Add the spinach and stir-fry until wilted. 5. Add the coconut paste and fry until fragrant. 6. Stir in the cooked black-eyed peas, tamarind and jaggery. Bring to a boil, then simmer for 5 minutes. Try using different greens, or different beans for this dish. The first day, I served this with some Southern Indian Tomato Rice and really enjoyed this odd combination! This amti would be delicious with plain steamed rice, and is "sturdy" enough to be a good accompaniment to steamed brown rice. I ate the leftover amti with some warmed whole-wheat tortillas and pickle, and that was delicious too, so the amti would go well with rotis. JFI:WBB Round-up of Green Leafy Vegetables from Mahanandi. with so many greens in our yard right now, we're always looking for new recipes. yours has been bookmarked. thanks for a great roundup. amti looks yum! the jaggery-imli combination goes so well in the amties' :) this is surely a must try! thanks for this amazing recipe, nupur! Bee, I bet any type of greens would be tasty here. Garden-fresh greens would be the much tastier than my store-bought spinach! Linda, glad you like it! Your entry was so creative! To Asha, TC, Lydia and Kalyn...I just did something so stupid. I was moderating comments and chose all your comments and was about to hit "approve". Then the phone rang and I clicked hastily and accidentally clicked on "reject" and lost your comments and screamed out loud in desperation :( :( I am SO SORRY but I can't find a way to undo that moderation. Thanks for your comments and kind words, and I'm really sorry this happened! Also want to add that I notice blogger is swallowing some comments (including my comments on my own blog) so if anyone does not see their comment, please know I am not rejecting it, just that blogger sometimes has its glitches. I apologize for this! I was hoping to post a Saandga and shengdana chutney recipe, but could not make it in time! SSpectacular Spinach post and S roundup! I love green leafy vegetables and I am definitely going to try your amti recipe. btw which recipe did you use for tomato rice? The Amti sounds flavourful. I generally think of spinach with yellow or green split peas but I like this combination with black-eyed peas. So many recipes to look at and learn from!! lovely recipes and a beautiful roundup. thanks a lot. discovered lot of new flavorful recipes too. amti sounds great. Wonderful roundup. Bad that I missed it this time. The Amti looks awesome. Thanks for the recipe. Awesome roundup, I like the spinach black eyed peas dish. I'm going to try that out. Suma, hope you get a chance to try it. It is easy and tasty! 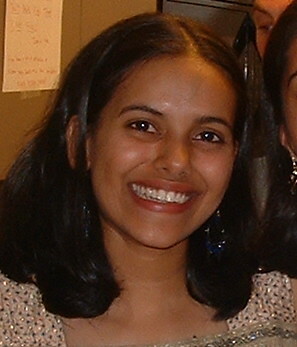 Supriya, Alu would go well here, but is so hard to find. For the tomato rice, I did not use a particular recipe...made it off the top of my head, but very similar to all the great tomato rice recipes that are out there in the blog world and elsewhere on the 'net. Cynthia, this is the first time I tried black-eyed peas with beans too...but I guess all combos of greens and beans do end up quite tasty! Raaga, this "amti" does not use the traditional amti masala at all, so maybe it will be fine for you! 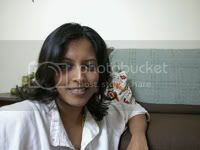 Durga, thanks for stopping by! Sure I will. And will you please confirm receipt of my T entry? wow!!! once again a very nice round up. its so resourceful, fun too and i keep learning new stuff every time. I have blogged about it too.